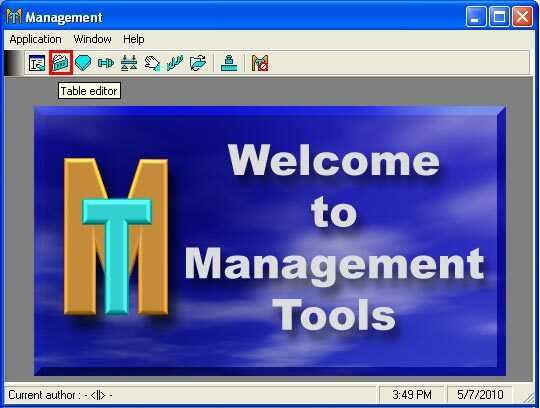 To add a new material in the database you must open the "Table editor" in "Management Tools". 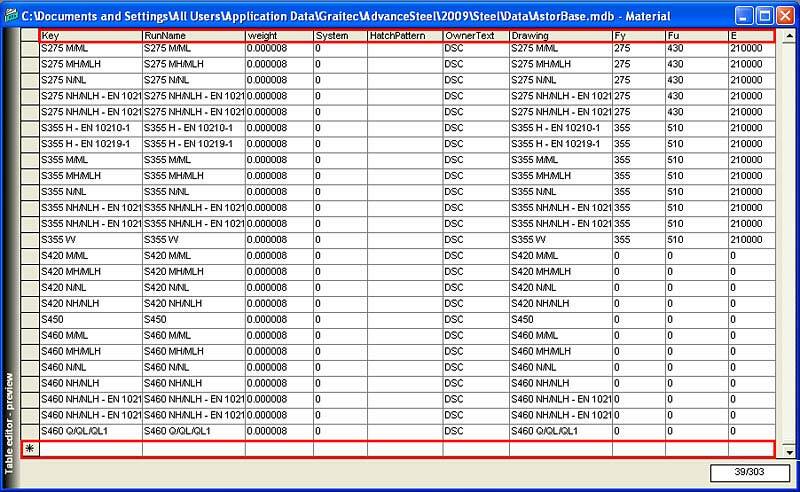 Click "Open database (MDB)" and then open "AstorBase.mdb" in: C:\ProgramData\Graitec\AdvanceSteel\2010\Steel\Data. Open the "Material" table, add a new row at the bottom of the table and fill the information requested in each column. 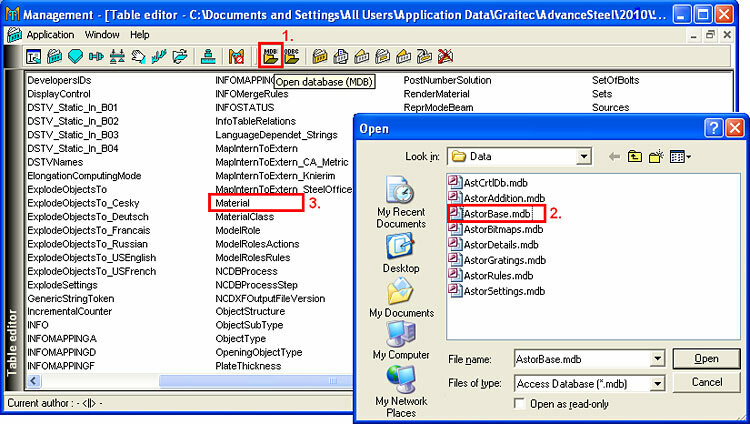 Key: internal name of the material used for mapping to other databases/tables. Weight: specific weight per volume unit. The value must be in Kg / mm3. System: used to set priority if the material is preferred. HatchPattern: attached hatch pattern to the material. Not used anymore. OwnerText: who added the material to the database. Drawing: name used in detail drawings. You can have, for example, one name for the interface, and another name in the detail for the same material. In most of the cases this name is the same as RunName.